The “hub” of the Culp Upholstery Fabrics division is a place brimming with energy and overflowing with the enthusiasm of its manager, John Towler. 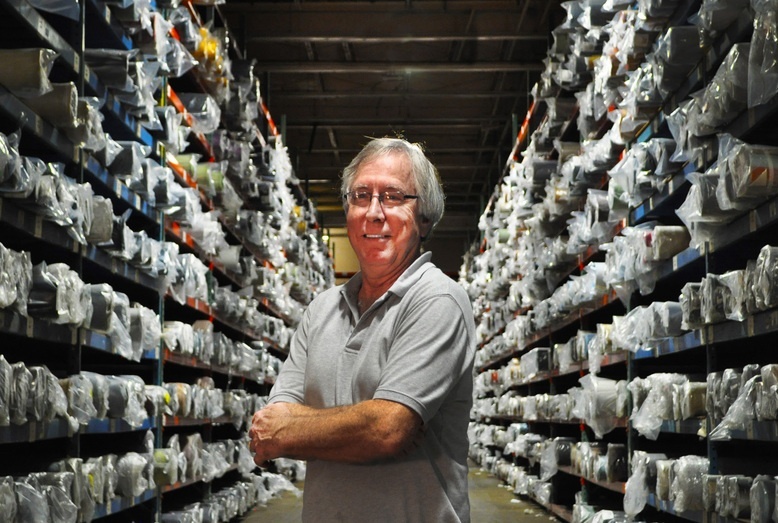 “We like to think that we are the hub of the (upholstery division), since everyone depends on us to get the product in and out on its way to customers,” said John, who has served 15 years as the Warehouse Manager for the Culp Fabric Center in Burlington, N.C. The Culp Fabric Center is buzzing with many vital activities. It serves as a distribution center for shipping and receiving, and has an inspection department. It is also an upholstery fabric sample preparation center where samples are cut, sorted, swatched and shipped out to customers daily. “On average, we have about 45,000 units of inventory at all times, and we receive and ship out about 6,000 rolls of fabric a week,” he said.